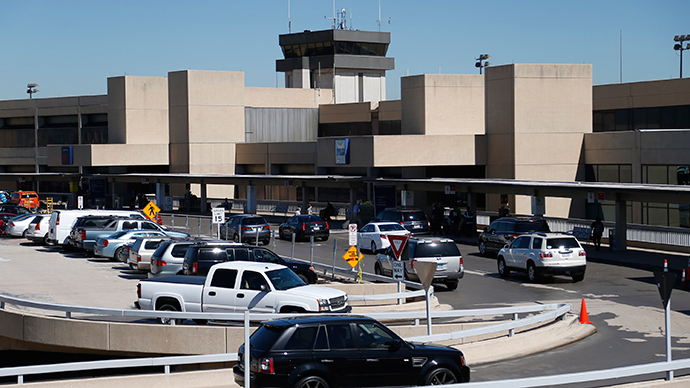 A 25-foot wide sinkhole has forced the closure of one runway at Dallas Fort-Worth (DFW) international airport, a major hub in the southern US. Six other runways remain in service, and there is no estimate as to when the sinkhole might be repaired. Airfield inspectors from the Federal Aviation Administration (FAA) found the sinkhole Tuesday morning, in the “safe area” between a taxiway and runway 18-L, airport spokesman David Magana told the Dallas Morning News. Airport officials closed the runway until the sinkhole could be repaired. “The FAA is operating around the closure,” Magana said, adding that the closure of runway 18-L did not affect any flight departure times this morning. American Airlines, which operates more flights out of DFW than any other airline, has reported “no operational impact,” according to Magana. “Flight traffic and delay rates are at normal levels,” he said in a statement. #DFW Airport has closed Runway 18L temporarily as a precaution while crews assess a sinkhole that has been reported adjacent to the runway. The sinkhole is not located on the runway or taxiway, but in the safety area. The runway will remain closed until repairs are completed. There was no explanation for the sinkhole’s origin. Residents of the region have complained about earthquakes and sinkholes for the past two years, blaming the hydraulic fracking in the nearby Barnett Shale field. Oil and gas companies have said there is no evidence that fracking was to blame. Texas has been hit by record-setting rainfall since the beginning of May, and has already received six times more rainfall than typical for an entire month, according to Accuweather. Severe storms and tornadoes pummeled the state over the Memorial Day weekend, leaving thousands without electricity, while flash floods damaged hundreds of houses and washed away bridges.